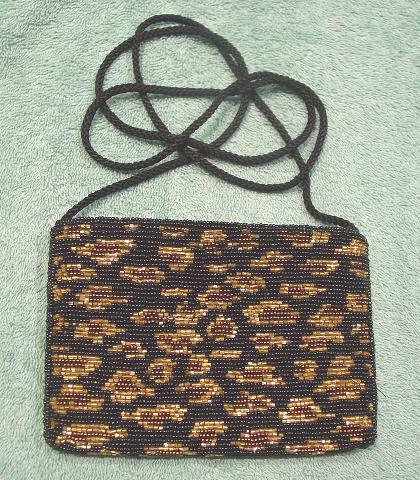 This beaded purse has a black cord 50" long shoulder strap. The top has a 5" long side to side zipper opening. 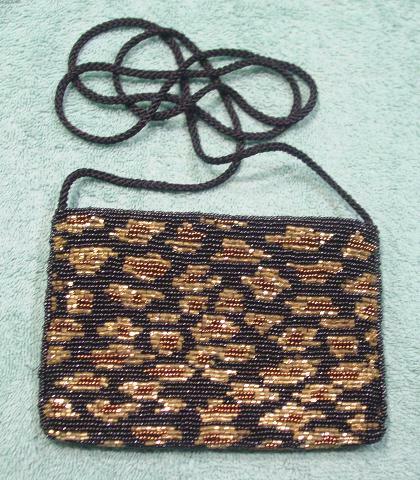 It has a black, copper, and gold beaded surface. The black lining is synthetic. The gold color beads sparkle more in person. It has four rows of black beads on the vertical sides.